YEAH RIGHT. When it’s priced like this?? Any lover of Tuscan magic should be RUNNING, nay, sprinting to lock in a few. PECCI! Tiziana Pecci, to be exact, a force-of-nature winemaker who turned her father’s small Estate into one of Montalcino’s finest in just a few vintages!! What a mind-blower of a price! We never get enough Brunello, and when it’s a 95-pointer, well, we just buy more of it --- more to drink now and more to cellar for the next decade or so!! Make cacio e pepe as soon as it arrives and drink this luxurious, old-school-in-the-best-way, finesse-filled wine with it. It’s ripping with complex scents and flavors of blue fruits, crushed berries, mocha and incense, but it never gets into "ultra-modern" in its feel. Wonderful stuff, there is no other way to say it, and we are blessed, BLESSED, we tell you, to have met up with Tiziana some years back. How else would we even get any, much less at a price like this?? Will go mighty quick --- please snag some! *** Side note: we are actually writing this from our little AirBnB just outside the town of Montalcino --- here on a quick visit to some of our fave Italian producers to make sure they still love us as much as we love them and share some pasta/wine/espresso. We can tell you --- 2017 from the barrel is looking fantastic, too (if a lot less to go around)! Check out this drone video of Pecci. (https://www.youtube.com/watch?v=TWocbX9YU4c) We are one of the few importers of these wines, fantastic examples of Brunello from vineyards just outside the town of Montalcino. Pecci Celestino farmhouse inherits its name from the owner who, following his passion for farming despite the "project" planned for him by their parents, acquired two farmhouses and a 99 acre piece of land. 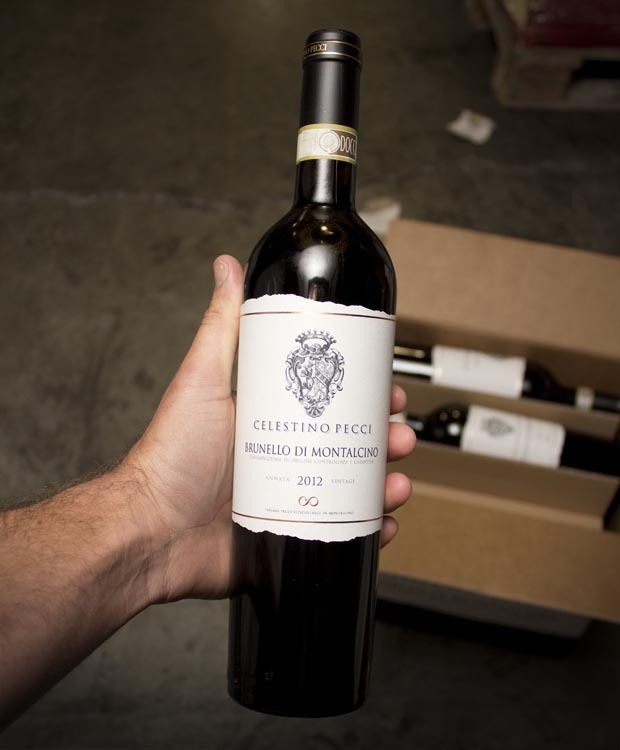 It was the 1968 when the Pecci Celestino farmhouse history begun, a history full of difficulties and sacrifices but in the end the family persevered and is now producing some of our very favorite, long lived Brunelli in the region. Mushroom and ricotta ravioli with shaved white truffle!